Find out whats going on with Pilar in the news. This page list links to articles written about Pilar in various news outlets. 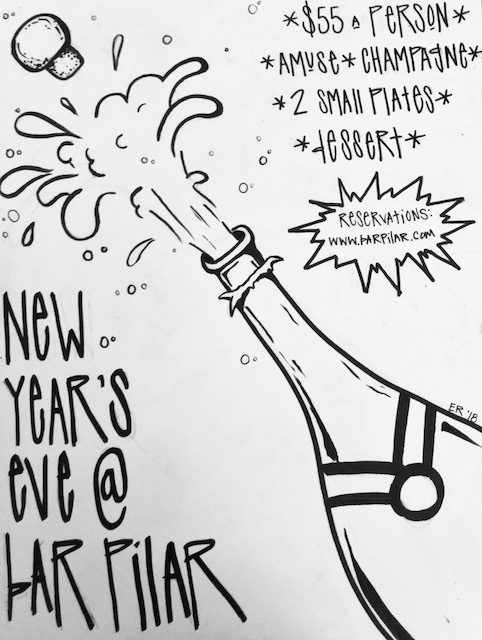 BRING IN THE NEW YEAR WITH US!!!! The executive chef of Bar Pilar seeds his feed with photos of dishes he’s working on, updates about the new restaurant he’s opening in Maryland (Pennyroyal Station), and that time he ran into one of the most famous comedians in the world, D.C. native Dave Chappelle. MAKE YOUR RESERVATION NOW! 4 COURSE MEAL FOR $35! BRUNCH THAT WILL KILL YOUR HANGOVER.